Having a delightful place such as the Bloxham Summerhouse, where you can relax in comfort, will make such a difference to your garden and leisure time. Merging attractively into the landscape, its an attractive traditional structure built using excellent quality tongue & groove cladding from pressure treated FSC timber. The large doors allow easy access and also when open accentuate the interior space which has a high apex roof and is filled with light from the extensive glazing. With room for a table and chairs, the summer house can be used for leisure and dining during the warm summer months, a spacious place which invites and encourages you to unwind and embrace an outdoors lifestyle. We also sell the Forest Tetbury and Winchcombe Summerhouses, which are also traditional, complemetary styles. Would You Like This Summerhouse To Be Installed? Select this option if you would like this item fully installed. Installation is available in the U.K Only. Certain areas maybe exempt from this service, please call to confirm that the installation service is available in your area. 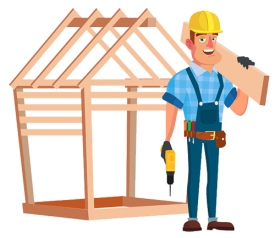 This service is installation only and does not include laying bases or disassembling old buildings. Installation will not happen on the day of delivery, a separate date will be arranged for installation.